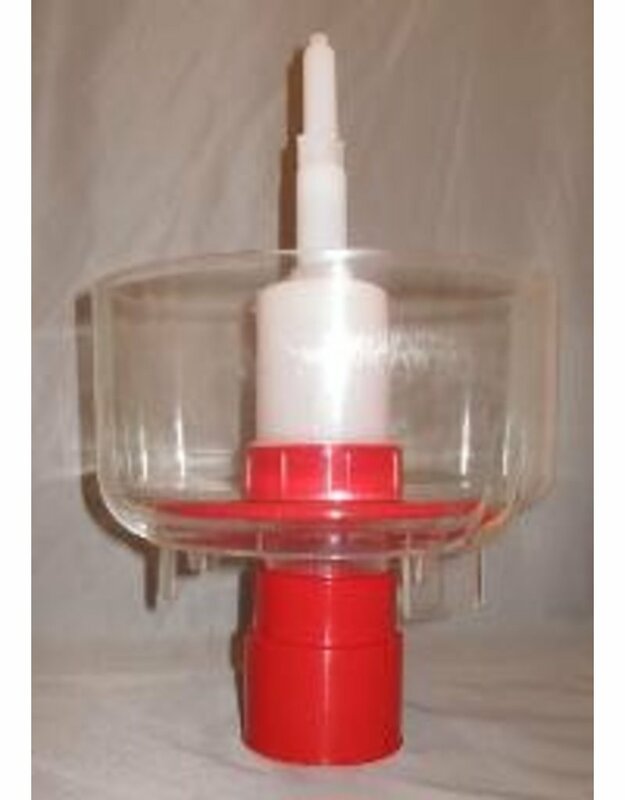 This bottle rinser makes rinsing and sanitizing bottles easy. Just fill the unit with rinse water or sanitizing solution. Then take a bottle and invert it over the white injector tube. Push the bottle up and down a couple times and the water or sanitizing solution will be injected into the bottle. 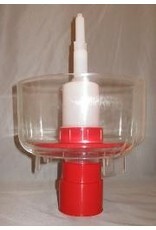 The bottle rinser can sit on a work bench or table. Or, it can be attached to the top of a bottle drainer tree. Then, after the sanitizer has been injected into the bottle, you simply swirl the sanitizer around in the bottle and "hang" the bottle on the tree to dry.